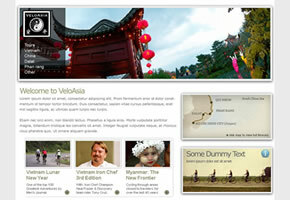 Need a site that you can update the content yourself? When WordPress was launched in 2003, it was a platform for blogs. Today, thanks to a decade of coding improvements, WordPress has developed into a brilliant CMS; even DataMouse is built using it and over 25-million sites across the www already use WordPress. From review sites to social media, online stores to articles, WordPress is flexible enough (when coded well) to achieve anything that you could want from your website. 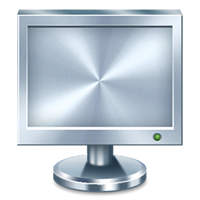 Also, being a Content Management System, it also allows the website owner the ability to edit, add and delete content, user comments and a host of other information through an intuitive administration interface. All of my WordPress-based sites are completely bespoke – No templates. You get exactly what you need, with full training too. 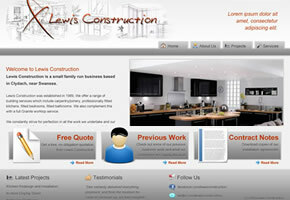 Contact me using the form at the top of the page to see what I can do for you and your website. 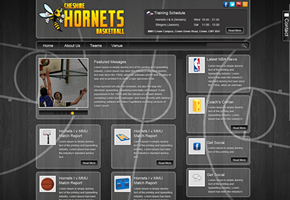 Social media integration and a custom layout makes the home of the Cheshire Hornets stunning.